Emma is a 13 year old competitive dancer; performing jazz, tap, lyrical, ballet, and modern dance! She came to see Dr. Vitale when she was first diagnosed with adolescent idiopathic scoliosis at age 12. At that time her main curve was already 53 degrees. A curve of this size in a growing child has an extremely high likelihood of progressing. 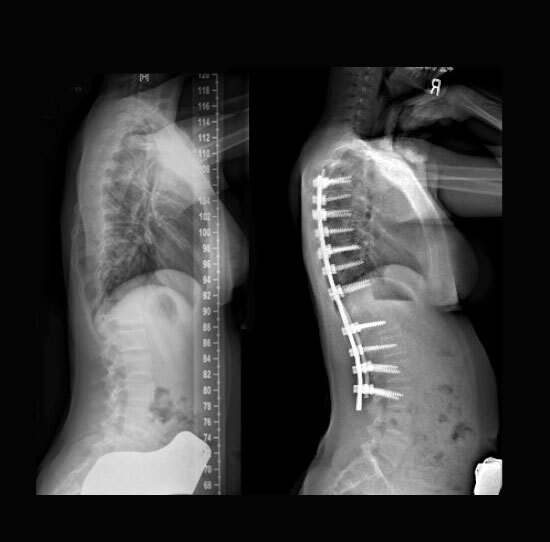 Dr. Vitale recommended surgically correcting the curve with a Posterior Spinal Instrumentation and Fusion. 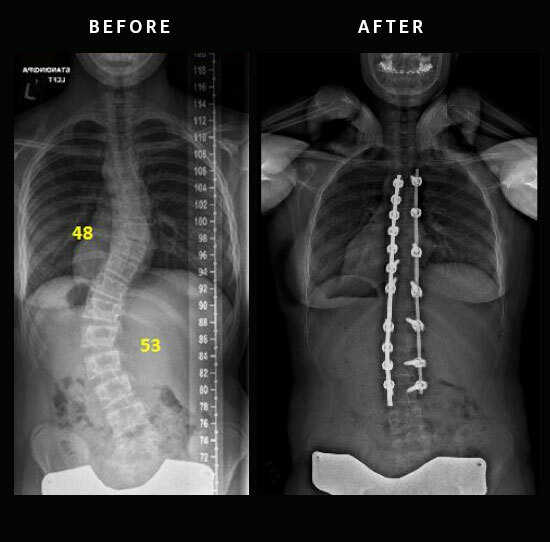 Emma’s main curve was in her lumbar spine but she also had a rather large curve in her thoracic spine measuring 48 degrees, which had to be included in the operation as well. Emma and her family decided to move forward with surgery quickly because it was important to them to preserve as much of Emma’s spinal flexibility as possible in light of her passion for dance. Most of the flexibility of the spine comes from the lumbar vertebrae, so the fewer levels involved in the fusion, the better. Emma had a fusion from T4 to L3 and she had smooth recovery. At her six month post-operative visit, the alignment of Emma’s spine was excellent and she could bend forward and touch the floor with both palms! She has returned to dance and all the activities she enjoyed before surgery.